Gingerbread lattes from Starbucks are one of our favorite holiday treats, especially on a chilly December morning. But unfortunately they aren't exactly the healthiest drink (hello, sugar!). Introducing the "super latte," aka a better-for-you drink made from some of the trendiest superfoods. Below are some of the sweet sips and how you can make them at home. Often called golden milk or a golden latte, this drink is probably the most popular of the bunch (it's even sold at Starbs). The yellow hue is due to turmeric, an Indian spice touted for its bloat-battling and digestion-improving powers. Get the recipe HERE. 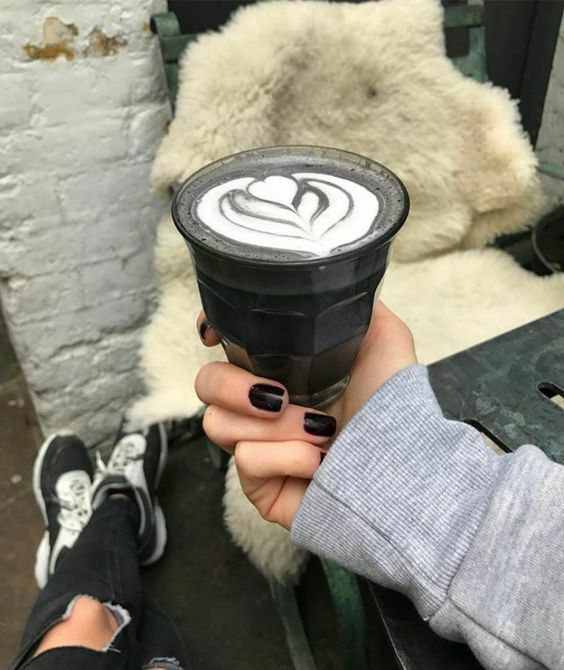 Made from finely ground matcha tea powder (that's where it gets its green color from), this latte is full of antioxidants that'll boost your immune system. Aka see ya, winter cold. Get the recipe HERE. Looks like gasoline, tastes like a vanilla latte. Seriously. The charcoal doesn't have a flavor but it does help remove toxins and detox your bod. Get the recipe HERE. OK, veggies in your latte might sound gross but this one is also called a red velvet latte (uh, yum!). And it's super high in antioxidants, too. Get the recipe HERE. What's your favorite kind of latte? Share below!